No vibration or noise is too small for UTM to handle, thanks to ample expertise in this particular area from the Institute of Noise and Vibration (IKG). IKG is one of the two service-based Higher Institution Centre of Excellence (HICoE) in UTM which specialized in vibration engineering and structural integrity assessment. It has over 25 years’ worth of experience dealing with all kind of engineering problem, completing over 500 projects in total. Combining computer simulation and mitigation techniques, IKG helps companies saved millions of ringgit during the companies’ operation. One of high profile projects which many do not realise IKG was part of them were the design of KLIA2’s sky-bridge in which after observation and simulation, the team designed vibration dampers to be implemented on the sky-bridge to reduce vibration and improve structural integrity. 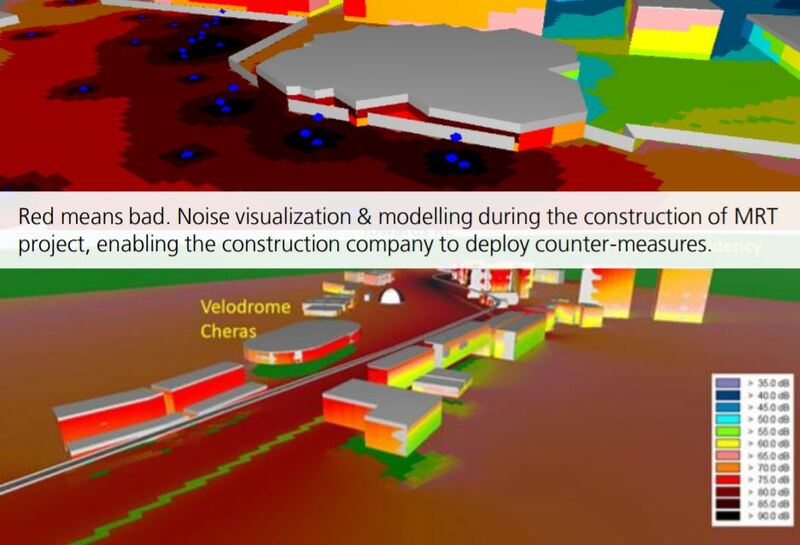 Perhaps IKG’s greatest achievement is noise modelling and environment impact assessment of Klang Valley next generation Mass Rail Transit lines. While noise is normally measured in decibel, it is quite difficult for us to visualize it. This is where noise modelling comes in & nobody does it better in UTM, other that IKG. The modelling enable risk management during mega-construction projects and even during operation (of factories for examples). Such visualization also provides insights to the environment that drives the decision making process. While we can normally close our ears to “reduce” noise, accurate placement of noise producing elements could works as well, cancelling one another out; similar to water ripple. Tuned by IKG. Improving driving experience by locating the source of radiator noise. IKG’s experience speaks its volume when given only three-month’s contract, manage to single-handedly solve a car manufacturer’s problem that has been haunting them for the past three years. We manage to pinpoint the source of the radiator noise and suggest possible mitigation technique.